Incorporation with other departments for purchase of mechanical equipment such as vendor document review and comment, etc. • Preparation of mechanical data sheets indicating data for thickness, weight, wind & seismic loads, nozzle properties, support details, etc. • Preparation of engineering specifications and standard drawings based on international standards and previous experiences. • Preparation of material & purchase requisitions, review of vendors’ offers and issue of technical bid analysis for each requisition. • Reviewing vendor documents including mechanical calculations and fabrication drawings and send the comments and/or purchaser’s approval. • Offering engineering services during shop fabrication and during site installation and start up. • Preparation and completion of process load data sheets and inclusion of required data to enable the vendors to design and manufacture the specified item. • Preparation of material requisition complete with the necessary data from other departments and indicating the codes/ standards and spare parts requirements, test, and all other delivery conditions. • Performing technical queries (T.Q.) with vendors to complete and equalize the bids. • Performing technical bid analysis and provide the report. • Issue of purchase requisition for the selected vendor. • Reviewing vendor documents and fabrication drawings and submit the comments and/or purchaser’s approval. • Preparation of material & purchase requisitions for electrical items, review of vendors’ offers and issue of technical bid analysis for each requisition, reviewing vendor documents after order. • Provision of Material Take Off for Cables, Cable Tray/ Ladder, Junction boxes, Cable Glands, Instrument Pipes / Tubes & Fittings. • Preparation of the soil investigation report requisition and control of the report which prepared by the subcontractor. 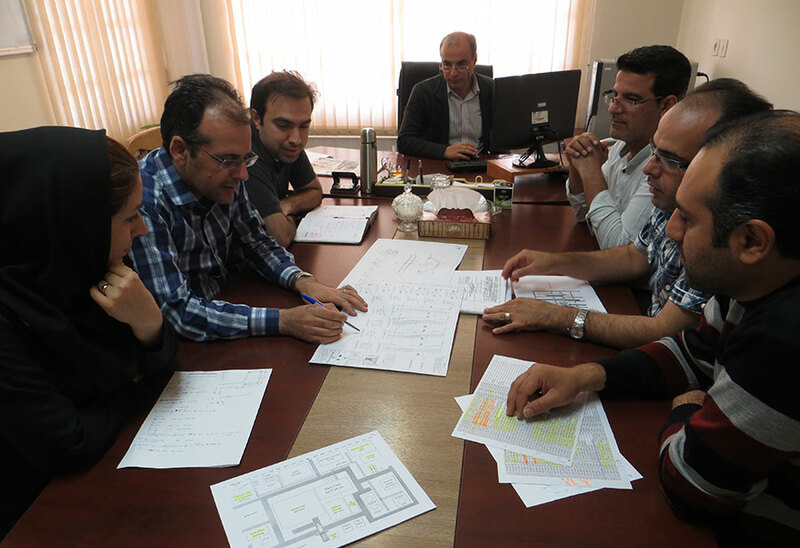 • Preparation of the civil construction bid documents. • Steel structure and anchor bolt requisition. • Foundations and concrete structure detailed construction drawings. • Material take off and bar bending list. • Architectural drawings of the buildings. • Heat, Ventilation and Air Conditioning (HVAC) design for the buildings. • Design of plumbing for the buildings. • Engineering drawings of steel structures. • Fabrication drawings for the steel structures. • Design of structures for the blast loading. • Design of foundations for the vibrating machinery.